When you have a motor and something it has to move (the load) you need to connect the two. Generally speaking there are three ways to do that; with belts or chains, with gears or directly with a coupler. The pulley/belt/chain options look like this. It really isn’t all that complicated. Either a motor connects directly or it doesn’t. Here is a solid definition of Direct Drive. "A Direct Drive Linear (DDL) motor is basically a rotary motor that is laid out flat and directly coupled to the driven load, eliminating the need for ball/lead screws, rack and pinions, belts/pulleys and gearboxes." "Two major design elements incorporated into the build (of the melanger) were a direct-drive system, and a fully sealed gear box." This is a contradiction. Per the definition, if you have a gearbox then you don’t have a direct drive system. They are mutually exclusive. It does not count that the motor connect directly to a gearbox. The image on the left isn't direct drive even though at first glance it looks like it could be. If you look at the cut away on the left you can see all the gears that except it from being direct dive. That all said I would like to talk a little more about drive mechanisms, speed control of motors and different types of motors and how, if you were so inclined (are you paying attention melanger makers?) a true direct drive system could be built and the subsequent pros and cons of such a system. Broadly speaking there are 3 types of motor configurations you can have. DC motors are variable speed and require simple control circuitry as all you need to do is change the voltage and the speed changes. Unfortunately power also drops with speed which makes them unsuitable for melanger applications since we need a range of 40-120 rpm and most DC motors range from 2000-12000 rpm. That means to use one you need to run 2-12 volts. On the surface that isn’t a major issue but the torque of a DC motor is proportional to the current or amps running through and since our limit is most cases is 15 amps there is just not enough power there to run a melanger. The other big issue running a DC motor is speed decreases as load increases. Overall it is a bad fit for melangers. The older A/C motors (induction motors) are simple, cheap, reliable, and easy to control. They operate at fixed speeds. This is what most people are familiar with. They are in the Champion juicer (which IS direct drive as the cutter mounts ON the motor shaft) and the single speed Melangers. If additional windings are added, a single motor can operate at two, three or more speeds. This is the basis for many blenders that have discreet but multiple speeds. But notice they are all very fast speeds. 800, 1000, 1200, 2000 rpm. They are not at 40, 60, 80 and 100 rpm. For that they would need a belt, chain or gear system. 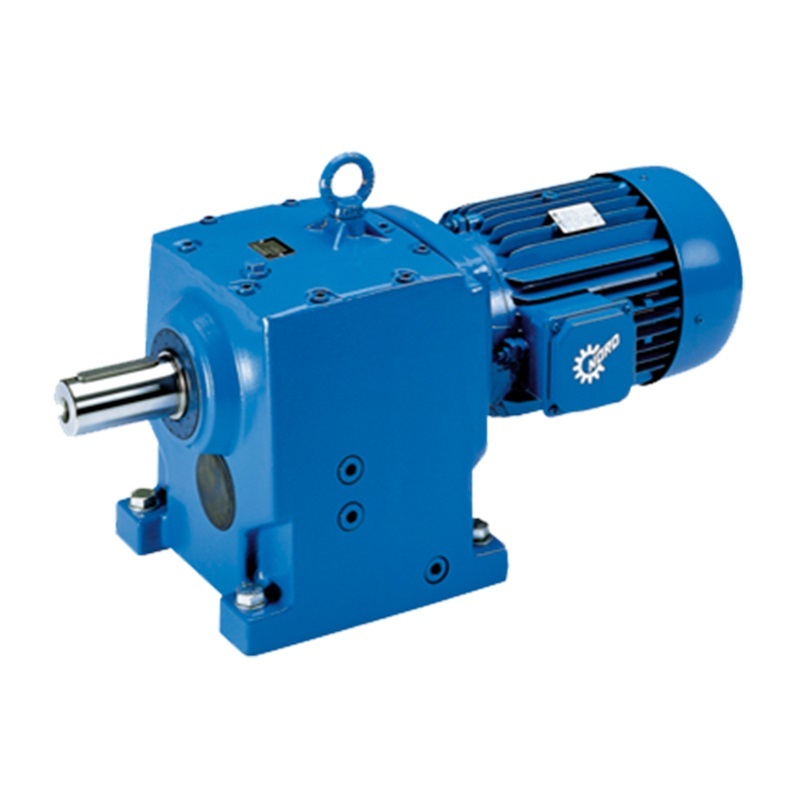 You are familiar with a variable speed ac motor and also their characteristic. Most box fans are direct drive variable speed ac motors and you will note you can easily stop them with you hand. That makes this arrangement totally unsuitable for a melanger. Likewise you can't use a motor that has so few windings that it only turns at 100 rpm as it would be too weak to be useful. This is the main reason you can't have a direct drive induction motor for low speed, high power applications. Finally we come to synchronous motors or true speed controllable direct drive motors. They are far more efficient than an equivalent induction motor but also are more expensive and complicated. They are sometimes called pancake motors and operate by variable speed 3-phase A/C. The stator has 3-phase windings, and the rotor contains several powerful magnets. The magnets are dragged by a rotating field created in the stator. This requires computerized motor control and rotor position sensors, making them far more complex than most belt-drive motors. I told you it was more complicated. This is how the larger melangers operate and have their speed controlled, but they are not direct drive since they all still use chains or gears to get the rpms into the best efficiency zone of the motors. They can operate at any RPM up to the limits of the motor but can have power issues if run really slowly. Synchronous motors themselves are very reliable but the electronics needed to run them, not so much so. They can be prone to failure with brown outs and voltage spikes. This basically explains why a Spectra 11 is $479 but one with a speed controller is over double that. It goes from an induction motor to a synchronous motor with electronics. I’ve been asked numerous times why something like a router controller can’t be used and to head that off I’ll say it is again all about speed and power. Routers run in the range of 8000-24000 rpm. If you were to try and run them at 800 rpm they would just stall out. The same basically applies to dimmers which are great for resistive (think light bulb) loads but don’t work on inductive (the motors we need) load. Personally, what I would love to see is a melanger with stepped speed control via chain drive much like you have with derailleur on bicycles. Chains have no slip like belt, really don’t stretch out and wouldn’t require expensive synchronous motors or finicky motor controllers. Spectra is about 75% there with the chain drives on the larger melangers. Whether people would like give up continuous speeds for a lower price is up in the air but personally like to keep a system as simple and durable as possible at the same time not breaking the bank. So just to reiterate, in theory you could make a direct drive melanger but you are leaving power on the table by making it run so slow and as soon as you connect anything between the motor shaft and the drive mechanism of the melanger other than a coupling you no longer have a direct drive system. You then have either a gearbox or belt/chain drive system.